Hope you’re all doing well and Happy New Year! Many people use this time of the year to reflect on their current life situation and they often look towards what they can do to improve their lives. Without a doubt, for many people life is filled with stress and anxiety. However, laughter has powerful health benefits. Laughter enables our brain to produce mood boosting endorphins and it can stimulate blood circulation to our hearts, lungs, and muscles. In addition to all of the above benefits laughter can help improve memory and lower stress. Perhaps one way to add more laughter to our lives is to change our perspective and view the more “embarrassing” moments of our lives as comical moments worthy of laughter rather than anguish. For example, a few summers ago I was attending my younger brothers’ elementary school graduation and I was wearing a beautiful summer dress and as I was walking out of the building many people were staring at me and I thought it was because the dress was so pretty. However, I later discovered that people were likely staring because my dress had a huge tear in the middle and my belly was unintentionally showing! Immediately afterwards I was extremely horrified and embarrassed but nowadays I laugh every time I remember that incident. Alternatively, my favorite way to get a good laugh is to spend 20 minutes or so a day watching my favorite comedy sitcom. With all that is going on in our modern world it is easy to become pessimistic and have a more negative outlook on life. However, time after time, research has shown that people that are the more happy and healthy, view the world from an optimistic perspective. For example, research shows that adults who have a positive attitude toward aging live longer than those with a more negative outlook. I know that becoming more optimistic is much easier said than done. However, as with any other skill practice makes perfect. The next time something doesn’t go as planned or if something bad happens try to change your perspective and try to view the situation from a more positive angle. Many people, myself included, only focus on the larger more obvious moments of joy in our lives. Such epic moments of joy may include weddings, graduations, births, ceremonies, major holidays etc. As much as we should be looking forward to these larger moments of joy, the reality is that such moments are often few and limited and they represent only a small proportion of our lives. Such smaller moments of joy may include a smile, a sweet or loving text message, a hug from a loved one, eating a favorite meal or dessert, wearing comfy clothes and relaxing after a long day, etc. In order to add more joy into our own lives we should recognize and embrace these small moments of joy as well as the more epic moments. Throughout the day many of us spend time doing tasks that don’t require much thinking. Such tasks include driving, riding the bus or train, bathing, putting on makeup, and maybe even cooking or preparing a meal. A very simple way to gain some knowledge without much effort is to listen to a podcast or watch a TEDTalk while doing these other tasks. Listening to a podcast or TED Talk can be a fun and easy way to learn a little bit each day. I hope that you find these tips to be helpful and I wish you all a happy and healthy 2019! Normally when we are having a face to face conversation with another person we maintain eye contact and we use our eyes to guess how the other person is feeling. Basically, most of us believe that the best way to figure out how the other person is feeling is to focus on their facial expressions. However, the latest research from Yale University seems to refute that belief. Researchers at Yale conducted five experiments and they discovered that people who listened to what the other person said and how they said it were able to make a better judgement of the speakers emotional states as compared to people who just focused on the speakers facial cues and expressions. Researchers concluded that perhaps the best way to figure out how someone is feeling and to empathize with them better is to simply listen to them. I truly believe that deep down each and every one of us wants to be happy and I believe that ultimately we make many of the decisions in our lives with the hope that someday it will bring us some form of happiness. Most of us have certain beliefs about what will make us happy. Some of the things that we believe will make us happy may indeed increase our happiness however, other things may not. If you are in the search for happiness here are some of the things that research has shown that will not help you reach long term happiness. I know that this sounds cliche but money really cannot buy happiness. One research study showed that high income earners are not significantly happier than middle class income earners. Obviously, we all need money to pay for shelter and our basic needs and then having some extra money can help us live a comfortable life. However, I think that one of the problems with money is that most people who start making lots of money never reach a point when they are satisfied with the amount of money they have. This is potentially dangerous because for some people the pursuit of money and riches becomes the purpose of their life. I think most of us know that money by itself will not make us happy. But we feel that having lots of money helps us buy or gain the things that we want and this will make us happy. The reality is that material possessions only bring short term happiness. When we first buy something we may be excited and happy but after a while we get used to the item or something even better comes out and we often take the version of the item that we have previously bought for granted. Material possessions may not bring lasting happiness but there is one way in which money can buy happiness. A research study has shown that after people have their basic needs met if they have extra money to spend on time saving services such as a housekeeper they will be happier. The reason is that they will have more freedom to spend their time as they wish. This may be slightly shocking to some people but research has shown that when most people are given too many options or choices to choose from they often become exhausted and unhappy. Social Psychologists often refer to this phenomenon as tyranny of freedom or choice overload. I know personally when I am shopping online I feel overwhelmed by all the choices that I see that I have to choose from. Even when I want to sit back, relax and watch a TV show I often feel overwhelmed by the amount of shows that are available. I don’t even have traditional cable so my TV viewing options are fairly limited but still there is just too much choice on Netflix! On a more serious note though, we humans have a cognitive reserve that is limited and we can only make so many decisions until we run out of energy and we ideally stop for the day or we continue and risk making impaired decisions. The problem with choice overload is that we can easily deplete our cognitive reserve by making trivial decisions before we make the tougher decisions. Personally, what I like to do is every night before bed I choose my outfit for the next day and I basically get everything ready so that in the morning I don’t have to make any trivial decisions. Getting everything ready the night before really helps ease my morning routine and occasionally if I do wake up a little later I am less stressed than I would otherwise be. I know this one is probably a pretty obvious one but having more friends or followers on social media will most likely not lead to you becoming any happier. One particular study divided frequent Facebook users into two groups. One group continued to use Facebook as frequently as they usually did and another group was asked to take a one week break from a Facebook. The results showed that the group that took a one week break were happier and less stressed. I think that the problem with social media is that we the social media users often tend to compare our lives with the lives of others and we often come to the conclusion that our lives are not as great as the lives of these other people. We become unappreciative of all that we do have. We often forget that most people only post the highlights or the best moments of their lives on social media. I am a social media user myself and I would not go so far as to say that we should completely stop using social media. I believe that social media has many benefits as well. I have family that live all across the world and social media has helped us connect in a way that may not have been possible without it. Also, social media has played a role in many positive movements across the world as well and I often see images and videos of people that are going through such difficult times and while these images are extremely hard to see I become aware of their struggles and I become immensely grateful for everything that I do have. My humble piece of advice would be to first of all try to establish or strengthen relationships that you have in real life outside of social media because these are the people that are more likely going to come to your aid during difficult times. Also, go through your social media accounts and simply unfollow accounts or people that make you feel bad about yourself or they just don’t add value to your life. Always remember that social media is just a means of connecting and interacting with others but ideally it should not be the only way that we interact with each other. Life definitely consists of many ups and downs and it’s impossible to always feel content or happy. It turns out that accepting the fact that we are not always going to be happy is actually good for our overall well-being. Research has shown that the pursuit of happiness does not lead to more joy. An Australian research study asked participants to what extent is being happy important to them. Then they were asked to keep a journal of all the stressful events that occur in their lives and and write how it made them feel. The results showed that those who highly valued happiness felt more lonely during these stressful times. There is absolutely nothing wrong with the desire to feel happy and joyous however, if the desire for these positive feelings and emotions becomes obsessive then it will lead to more emotional pain rather than joy and happiness. When most of us think of music we think of it as a means of entertainment. However, the reality is that music can be so much more than entertaining, in fact, it can be used as a critical tool by medical professionals to help patients with a wide range of conditions. Music therapy is basically the use of music to help patients with various physical, emotional, cognitive and social needs. Music therapy can be of benefit to people with dementia, brain injuries, respiratory problems, chronic pain and many other problems. Music therapy is not just given by random doctors and nurses there are professionals called music therapists who have rigorously studied this form of treatment. Music therapists work in a wide range settings including hospitals, community health centers, drug rehab centers, senior centers, nursing homes and schools. Music therapy is very useful for patients who suffer from brain injuries such as car accidents, assaults, gun shot wounds, falls, stroke, lack of oxygen to the brain, etc. Often these patients are left with limited mobility. Rhythmic entertainment is used to help these patients gradually start to move again. Such patients are asked to listen to strong rhythmically accentuated music. Rhythmic entertainment works by locking the motor systems rhythm to an external auditory source. This works because there is actually a rich connection beteeen our auditory system and our motor system. We all have an “internal timekeeper” that helps us regulate our movements. When this “internal timekeeper” is damaged as a result of the injury the internal timing system can be retrained and the brain can gradually adjust itself and the patient can regain much of the lost ability. As an example the patient walks to the beat of the music starting off with slow tempo music and then gradually working their way up as their ability improves. After certain types of brain injuries, some patients are no longer able to speak but music therapy can help them regain this vital ability. One prominent example of this is Gaby Giffords. As some of you may know Gaby Giffords was a member of the U.S. Congress who was tragically shot in the head in 2011. Due to damage to the language pathways in the left side of her brain Gaby Giffords was not able to speak after the injury. The good news for Gaby was that music, singing in particular, accesses language in a way that is different from talking. Gaby started seeing a music therapist on a regular basis and she started being able to sing the words that she could not speak. After many regular sessions her brain started to reorganize and she gradually started to speak again! Music therapy is a great tool for patients with damage to the left side of their brain because it helps the patient regain the abillity to speak by helping patients retrain their brain to use the right side of their brain to learn language. Listening to music can help Dementia patients by bringing back memories and emotions. It can also reduce the stress of Dementia patients and it can help them more easily communicate with their healthcare staff. Listening to music can also help Dementia patients better interact with each other by discussing the memories and feelings evoked by the music. With Dementia patients, songs from the patients young adult years (ages 18 to 25) are especially helpful because they’re most likely to evoke reactions and memories. However, unfamiliar music can also aid in relaxation and stress management. Active participation in music can also be helpful for Dementia patients. Studies have shown that Dementia patients who regularly sing have improved cognitive abillity and an increased life satisfaction. Active music therapy can be very helpful for children who suffer from asthma. One study compared the effects of asthmatic children singing to another group of asthmatic children who passively listened to music. The results showed that the group that sang had better breathing and overall more positive mood than the group that just passively listened to music. Playing a wind instrument can be especially helpful for asthma patients. Studies have shown that playing a wind instrument trains and improves the muscles involved in breathing. Playing a wind instrument can help asthma patients develop a relaxed breathing rhythm that can help them stay calm and focused during an asthma attack. Other studies have found that students who play wind instrument are more optimistic about their asthma and are less likely to have an athmaic episode. Studies show that music therapy music therapy has a positive effect on children who are hospitalized due to having cancer. Unfortunately, music therapy cannot cure cancer but it can improve the feelings of these young patients. Studies show that music therapy led students to have more positive feelings. 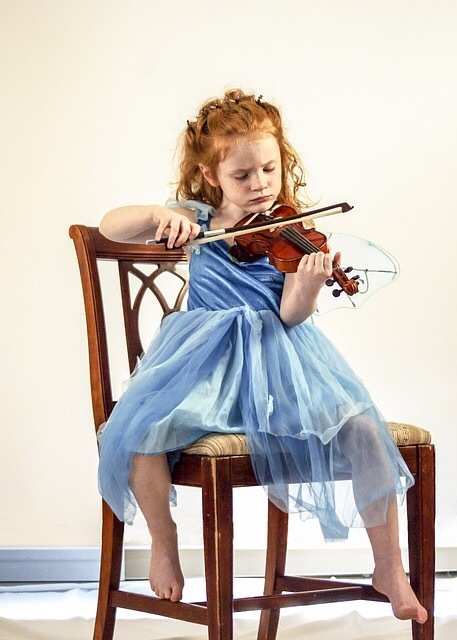 Children who were more actively involved in music therapy (as judged by the music therapist) showed greater improvement. Basically music therapy can be effective in helping a young child cope with a tragic situation such as cancer. Some studies have shown that music therapy can improve the overall quality of life in these young cancer patients. As a side note, in the healthcare field, patients are not the only ones who listen to music. A recent poll of 700 surgeons throughout the United States revealed that nearly 90 percent of them report that they listen to music in the operating room as it calms their nerves and helps increase the operating staffs morale. Of course, they do turn it down during the important parts of the operation. It is amazing how much music therapy can truly help a wide range of patients without any of the negative side effects of some other treatments. I recently watched a very inspirational TED Talk titled: There’s is More to Life than Being Happy by Emily Esfahani Smith. Basically, the major point of her TED Talk is that those who are truly at peace with their lives are not the ones who chase after happiness rather they are the ones who find meaning in their lives. She describes how the famous Psychologist Martin Seligman describes meaning as coming from, belonging to and serving something beyond ourselves, and from developing the best within ourselves. In her talk Esfahani Smith describes statistics about how, for many people in the U.S, the quality of life has improved by almost every standard, yet the suicide rate has reached an all time high. She attributes this to a lack of meaning and she also cites statistics that mention that those who do have meaning in their lives are more resilient, do better in school and in work and they even live longer. Belonging: Being in relationships and having relationships in which you are valued intrinsically for who you are and you value others for who they are. True belonging comes from relationships that are based on love and they are based on your choice, you choose to cultivate belonging with others. Purpose: Many people find their purpose through their work however, finding your purpose is not exactly the same as finding a job that makes you happy. Purpose is less about what you want and more about what you give to others. The key to purpose is using your strength to help others. Transcendence: She describes transcendent states as being those rare moments in which we are lifted above the normal hustle and bustle of daily life. It is when our sense of self fades away and we feel connected to a higher reality. In transcendent experiences you lose all sense of time and place and these experiences can change you to become a better person. For each person transcendence can come from a different source. Some people may experience it through their house of worship others can experience it through other means such as art, athletics, writing, etc. (To me personally transcendence sounds a lot like what psychologists refer to as flow). Story Telling: She describes this as the story that you tell yourself about yourself. We are authors of our own stories and we can change the way we tell them. She argues that our lives are not just a series of events but we can edit and interpret our stories even when we are constrained by the facts. The point of story telling is to help us reevaluate our lives and see ourselves and our lives from a more positive perspective. She gives the example of an injured football player who was left paralyzed as a result of his injury. In the aftermath of the injury, he described his life as being good before the injury and being pretty bad after the injury. After some time had passed he re-evaluated his story to describe his life before the injury as being a life in which he lack purpose and meaning and he was only concerned with himself. However, after the injury he has a greater appreciation for life and he has found his purpose in life which is to help others. This TED Talk was definitely an eye opener for me. Being a student of positive psychology I have read a lot of books and articles on the importance of attaining happiness and how we can be happier in fact I wrote a post a while ago about a book on happiness. I do still recommend that book and I will definitely continue to read positive psychology books and articles on happiness because I feel that there is a lot that we can learn and apply in our lives. Also, because positive psychology as a field is determined to study and understand happiness and wellbeing from a scientific perspective. However, it’s also really nice to know that there is something more long lasting that can help us deal with any stage or event in our lives. It is impossible for most of us to be happy all the time but having a sense of meaning, in my opinion, is much more powerful because it gives us something to rely on in moments of joy and sorrow. Click here to watch this TED Talk. A recent study published in the JAMA medical journal revealed that the majority of American football players developed Chronic Traumatic Encephalopathy (CTE). This study is very significant because it is the largest study to ever be conducted on this topic. Since CTE is a disease that can only be diagnosed after death, this study involved studying the brain autopsies of 202 football players. Out of these 202 players, 177 of them were diagnosed with CTE. Within this sample some were high school football players, some were college football players and 111 of these were NFL football players. A shocking 99 percent (110 out of 111) of these NFL players developed CTE. Take a look at this very informative CNN article to learn more about the impact and limitations of this study. War veterans with a history of blast or concussive injury. CTE is primarily caused by multiple head injuries which cause concussions. A concussion occurs when an individual gets a violent blow to the head which causes the brain to slam against the skull. For example, when football players get a concussion they are usually hit by speeds that range from 17 to 25 miles per hour which is more than 90 times the speed of gravity. The impact of a concussion can cause bruising of the brain, torn blood vessels, and nerve damage. Some of the immediate symptoms of a concussion include confusion, amnesia, loss of consciousness, ringing in the ears, and nausea and vomiting. Unfortunately, there is no known cure for CTE but preventative steps can be taken. Since CTE is primarily caused by concussions it is vital to take steps to ideally prevent concussions from occurring in the first place or at least, prevent further injury after a concussion. Many athletes can benefit from sport specific helmets and riders can benefit from bicycle and motorcycle helmets. These helmets may not completely prevent concussions however, research has shown that they can reduce the occurrence of dangerous brain injuries. This past week many news outlets have been reporting the results of this study and I hope that this post helps to give a bit more information about Chronic Traumatic Encephalopathy.